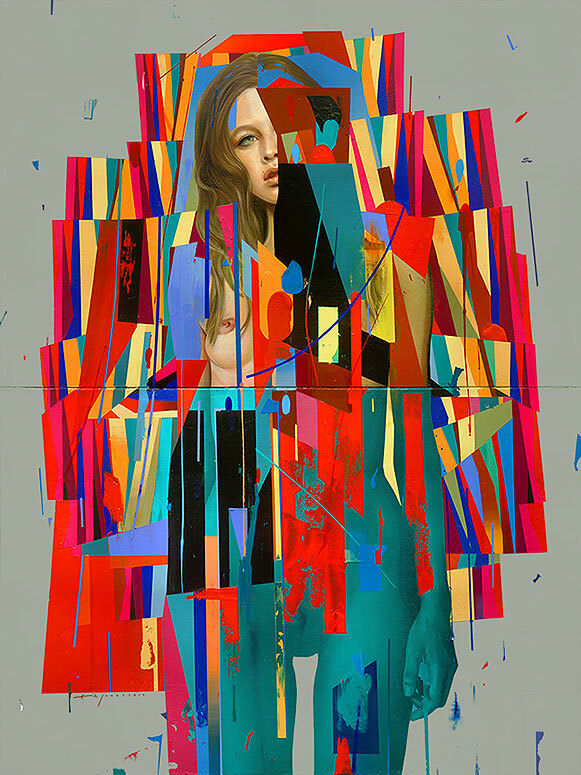 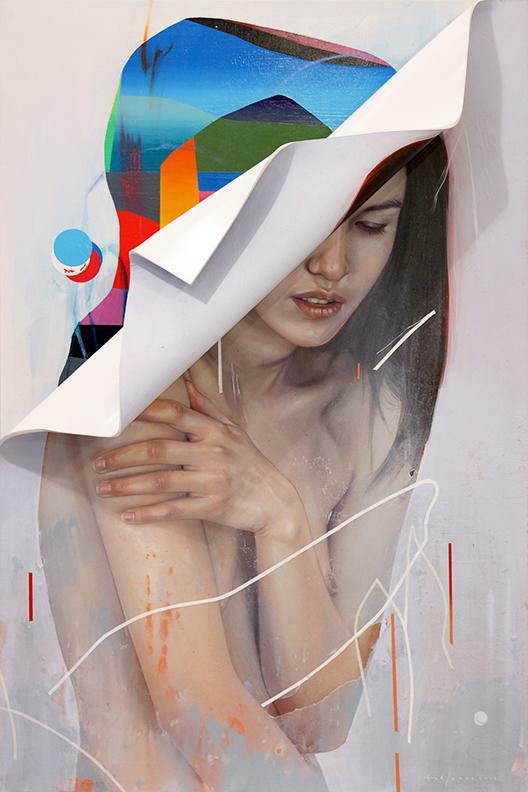 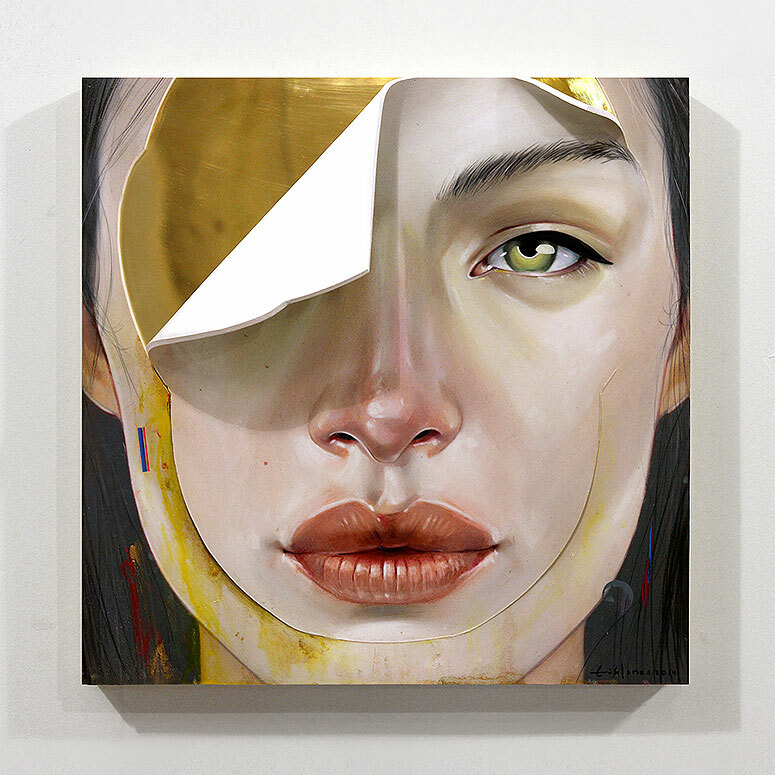 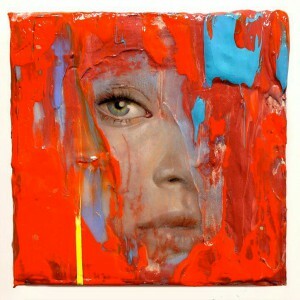 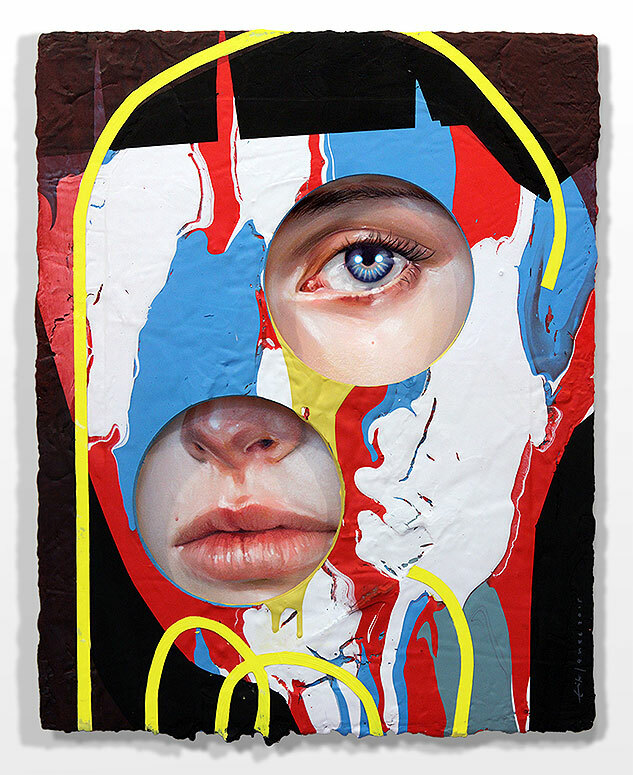 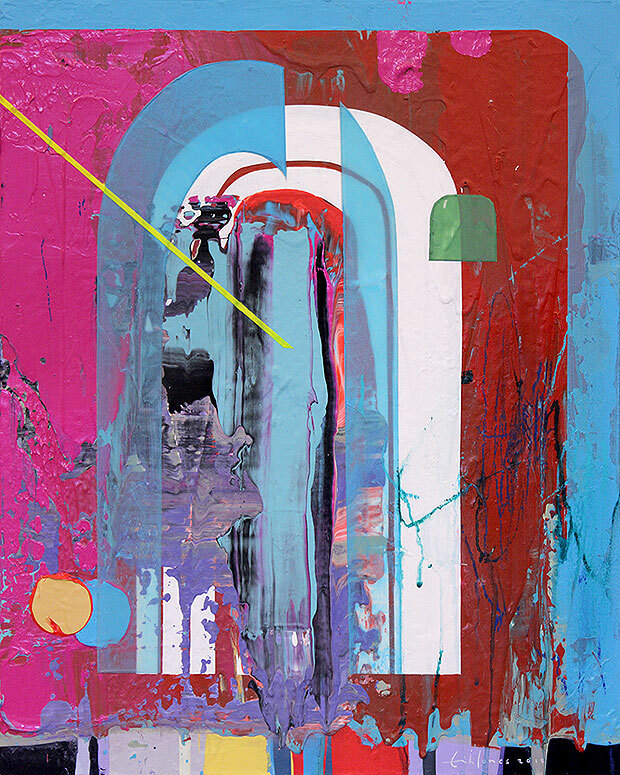 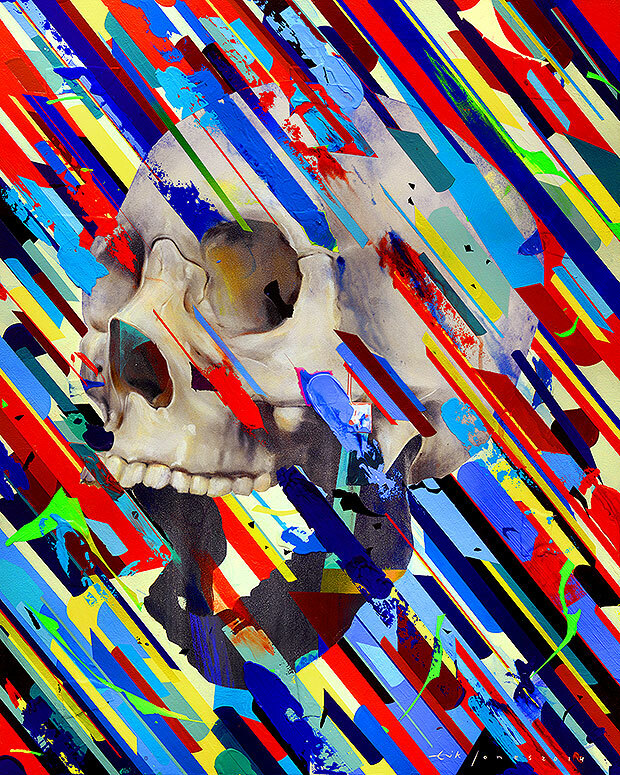 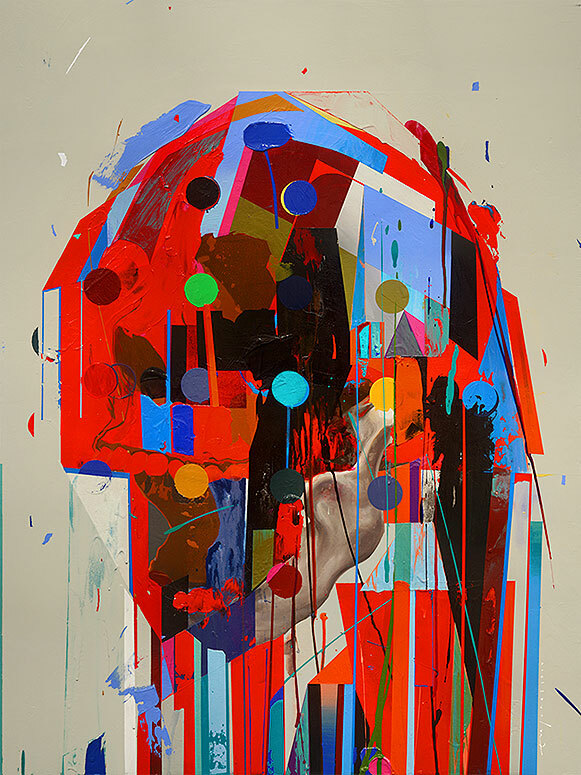 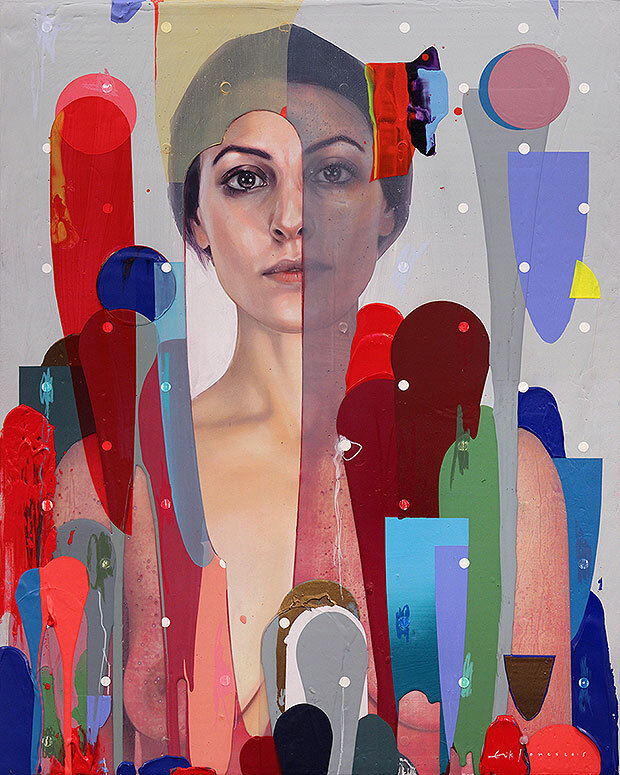 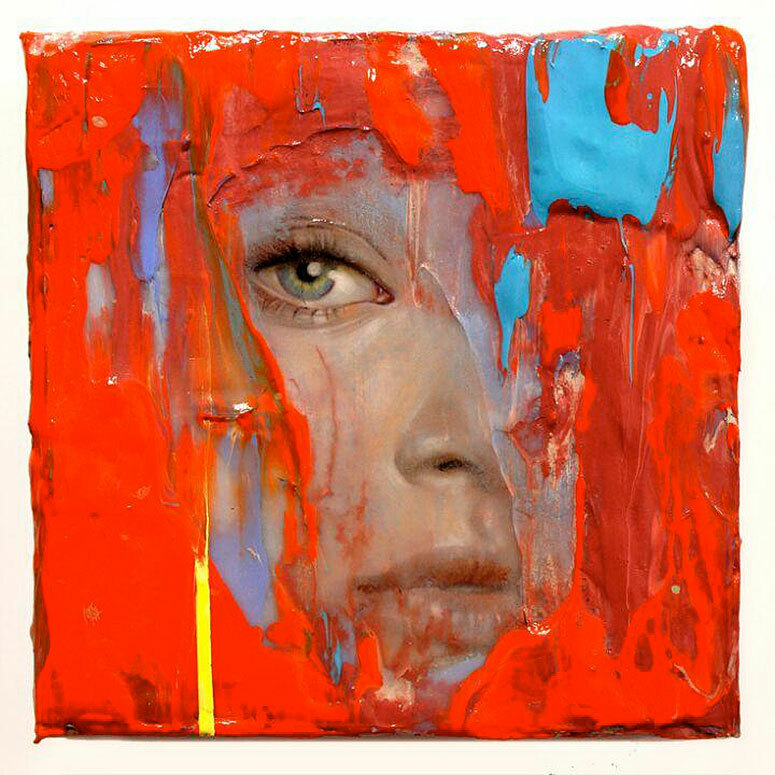 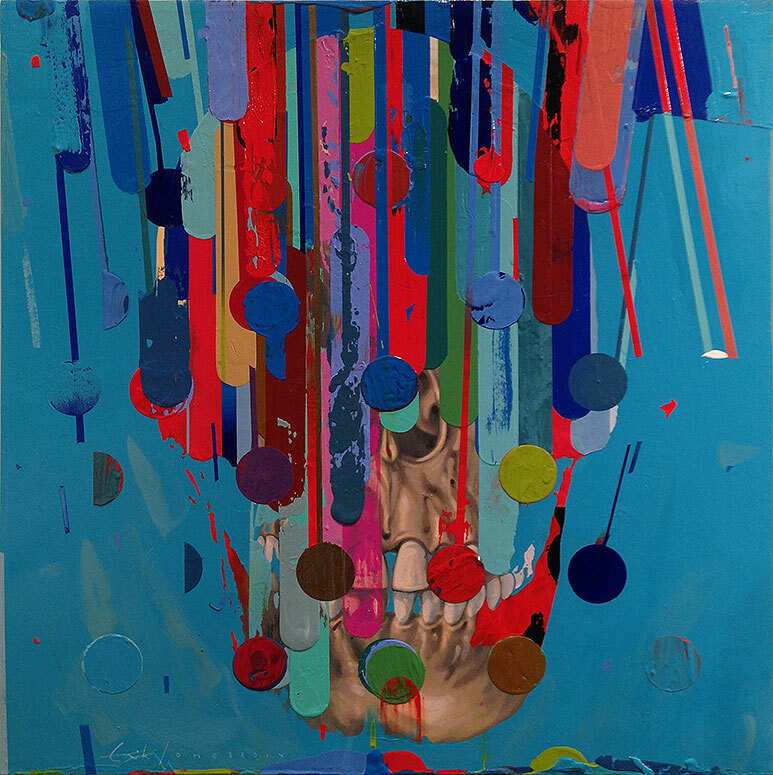 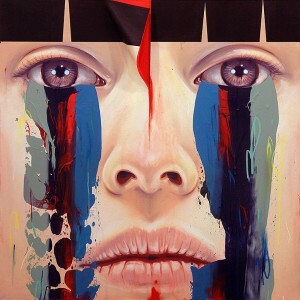 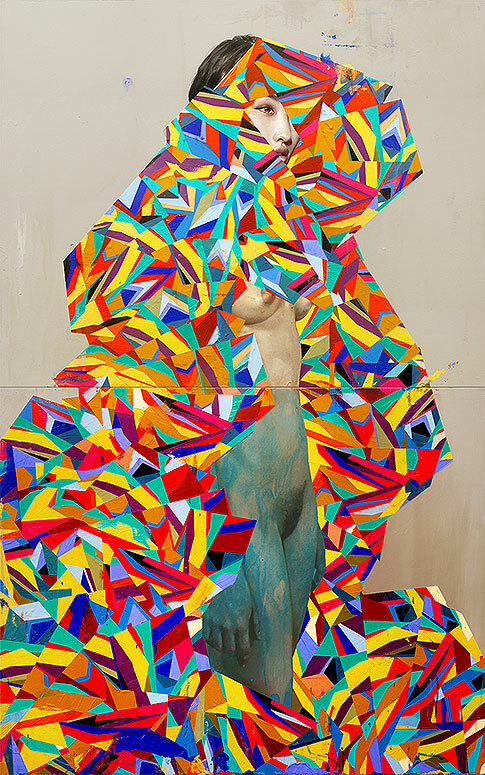 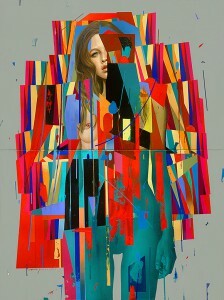 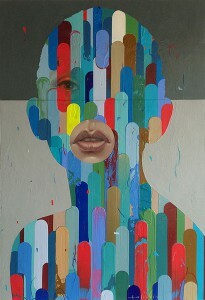 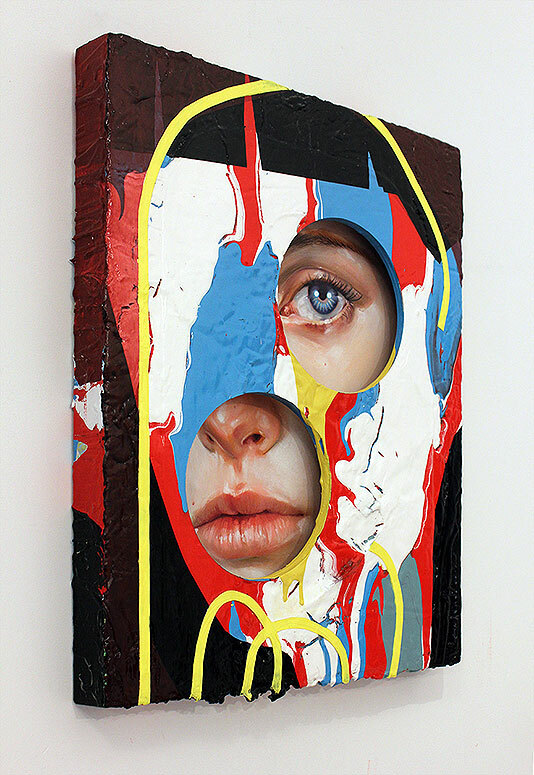 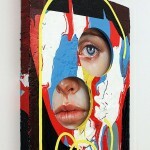 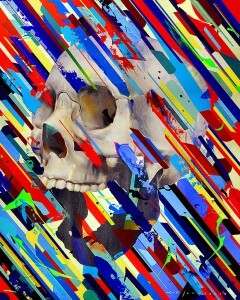 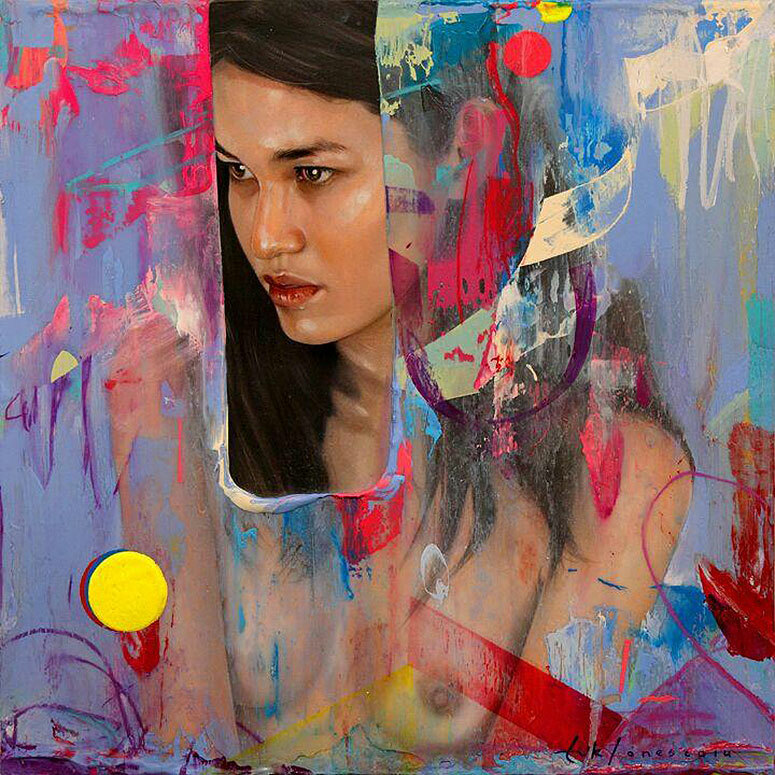 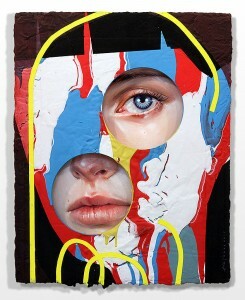 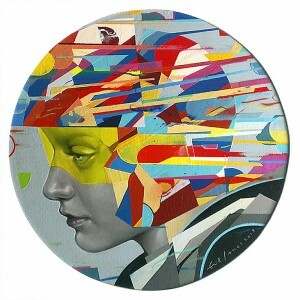 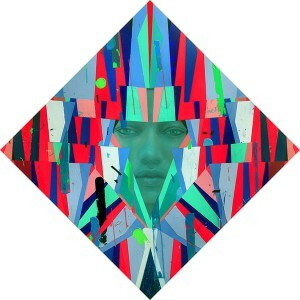 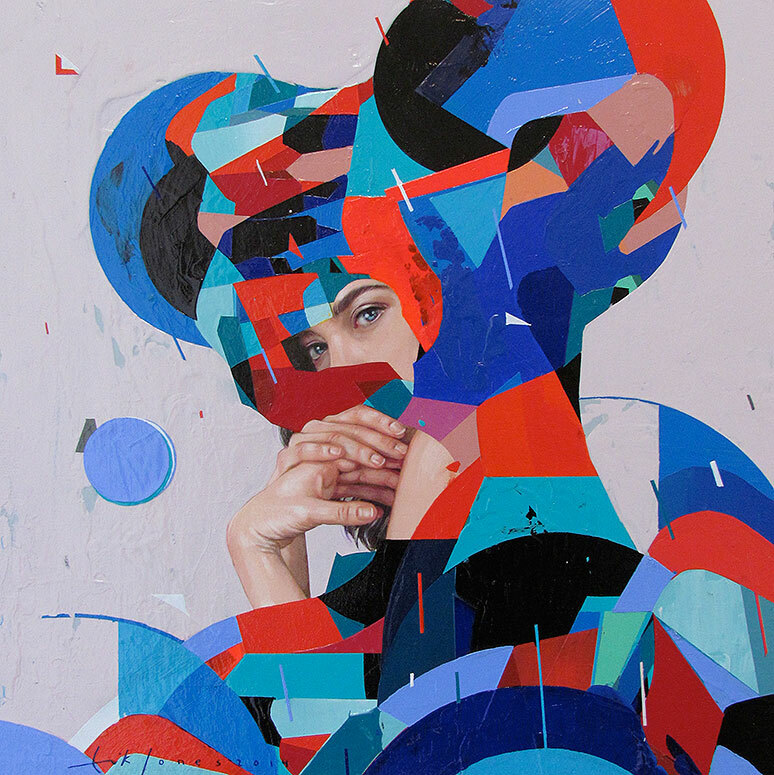 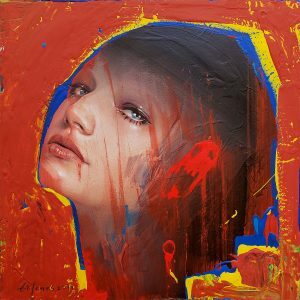 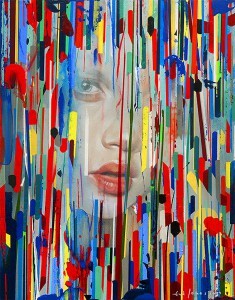 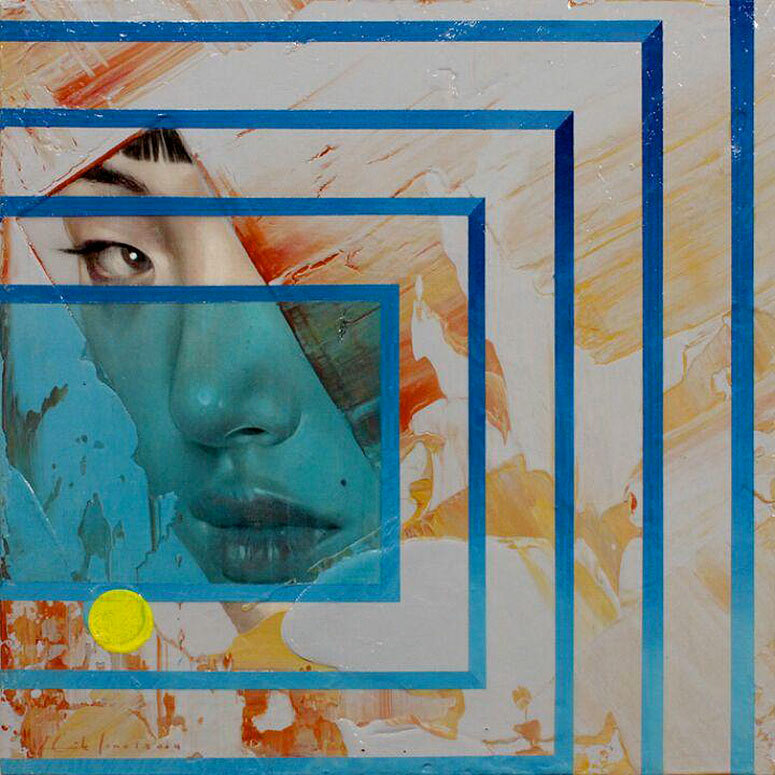 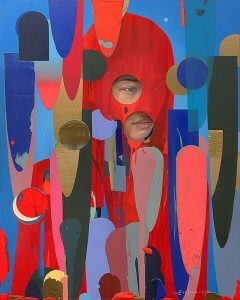 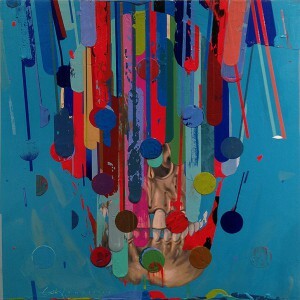 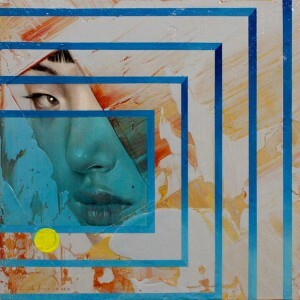 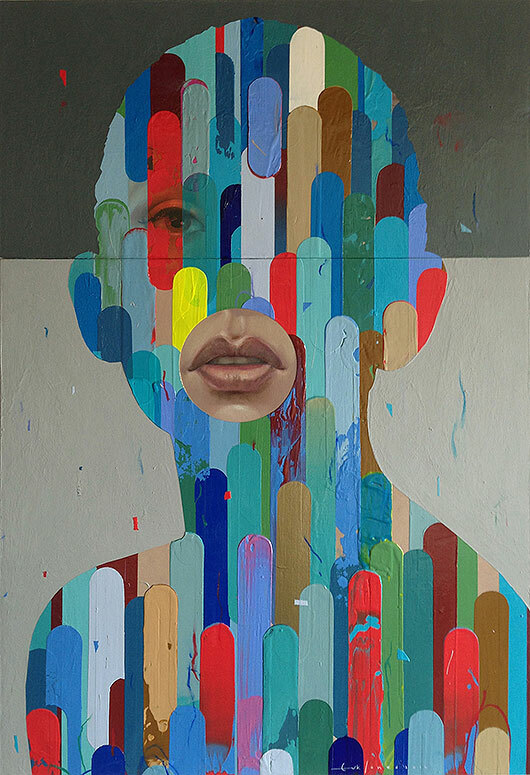 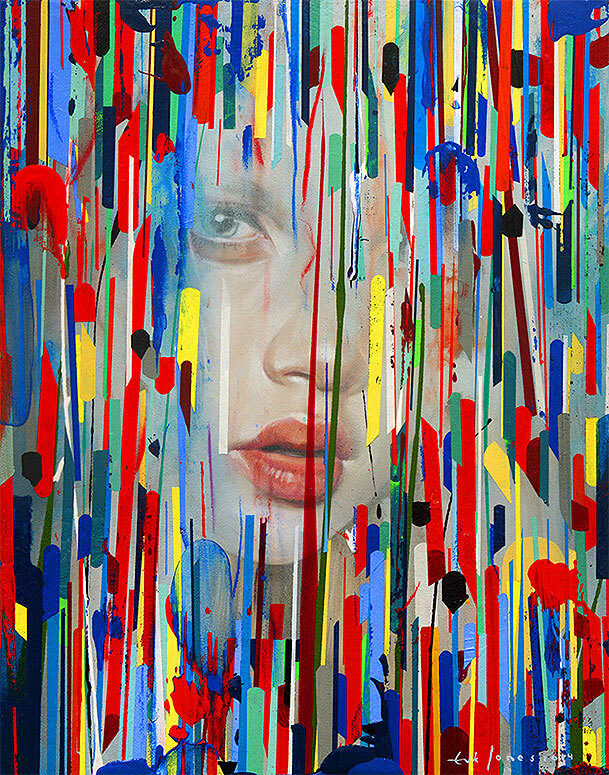 Erik Jones was born in 1982 in a sunny beach community in St. Petersburg Florida. 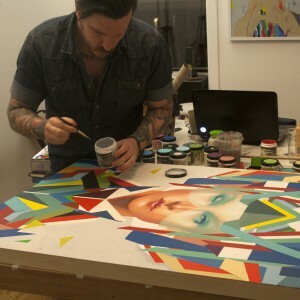 He received a bachelor’s degree from Ringling College of Art and Design in 2007. 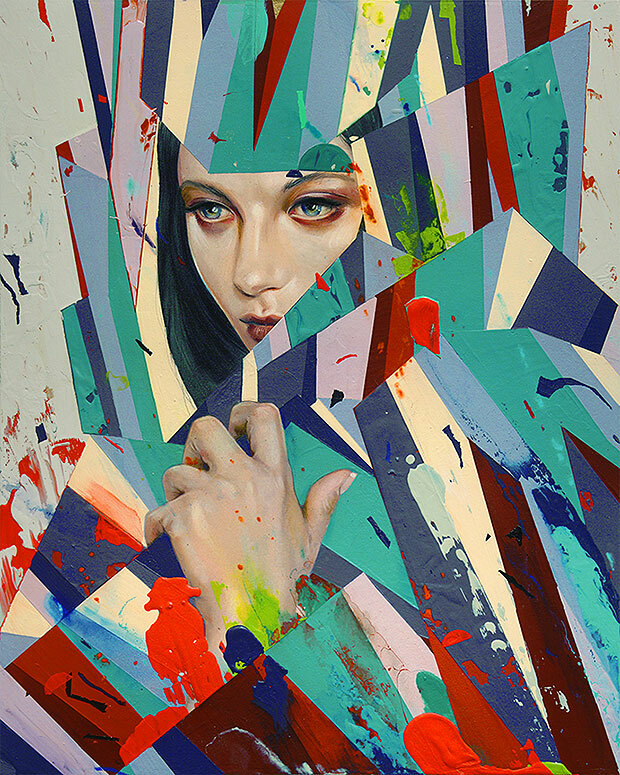 Out of college, Working primarily in cover illustration, Erik toured the US, showing at different pop culture and art conventions. He gradually made his way to Brooklyn, New York in 2009, where he now resides. 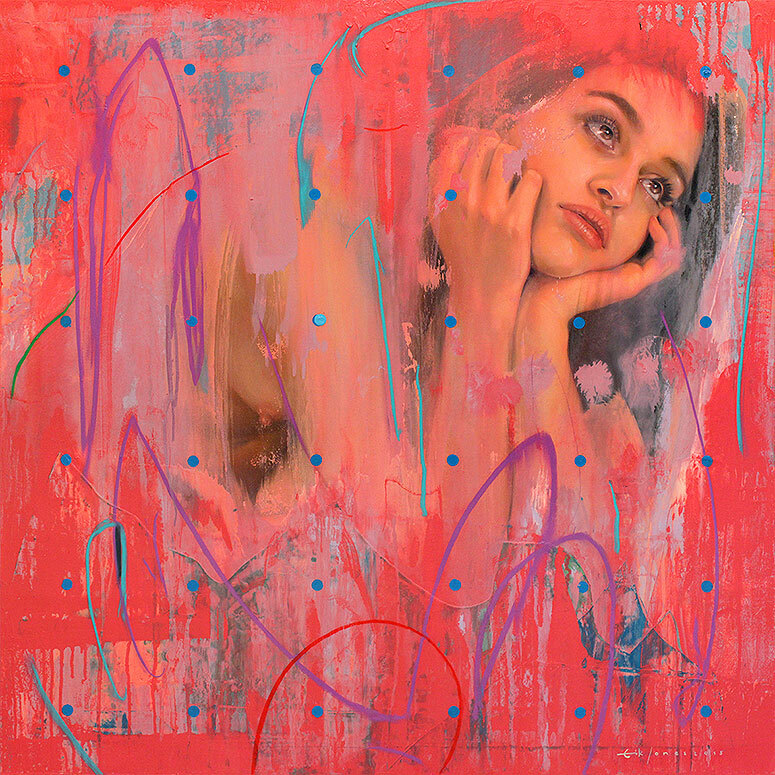 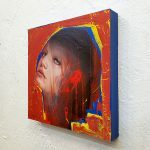 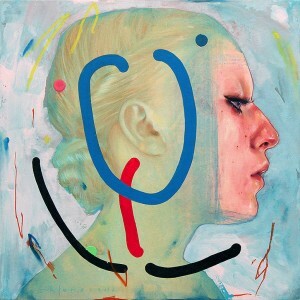 Erik’s work is vibrant and colorful, expressing a heightened sense of realism, captured in his female subjects, juxtaposed with sporadic mark making and nonrepresentational forms that could be said to mimic geometric high-end fashion. 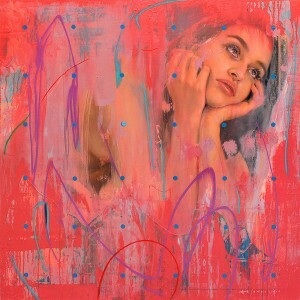 This effect is achieved by using multiple mediums such as watercolor, colored pencil, acrylic, water-soluble wax pastel and water-soluble oil on paper. 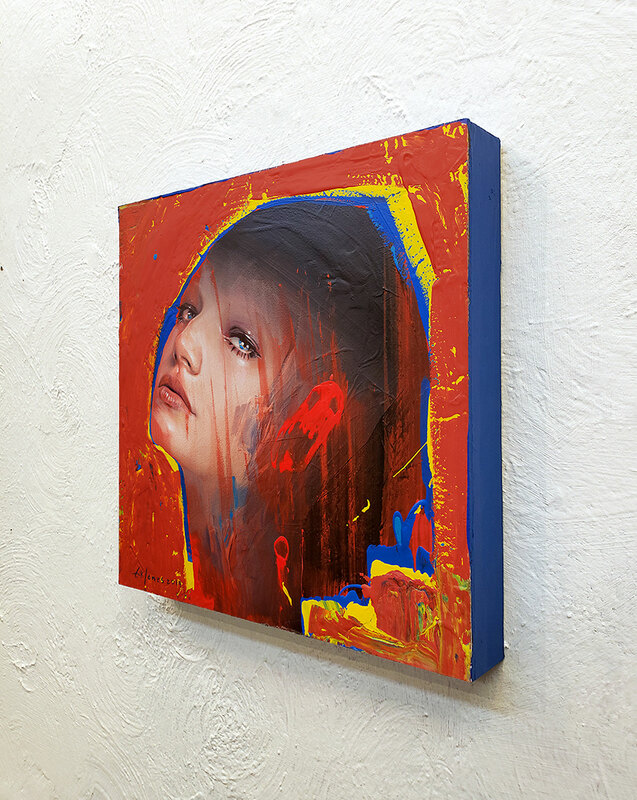 Colored Pencil, Wax Pastel, acrylic on paper, mounted to plastic on panel. Colored Pencil, Wax Pastel, acrylic on paper, mounted to plastic, on Polished brass on panel.